New ways to understand and renew the relationship between Australia’s colonial history and the present. 3520 bricks donated by citizens in and around Healesville, 101 A0 photocopies pasted directly to museum wall, dimensions variable. Commissioned by the TarraWarra Museum of Art, Future Memorials is an ambitious multi-faceted project involving the Sydney-based Wiradjuri-Kamilaroi artist Jonathan Jones, Melbourne-based non-Aboriginal artist Tom Nicholson and Senior Wurundjeri elder Aunty Joy Wandin Murphy AO. Towards a monument to Batman’s Treaty was one part of the museum-based first component of the project. The work examines the contradictory meanings of the Treaty that Batman claimed he signed with Wurundjeri people. It uses the exact number of bricks required to construct an as yet unrealised public art project; a monument to the treaty in the form of an obelisk-like chimney. 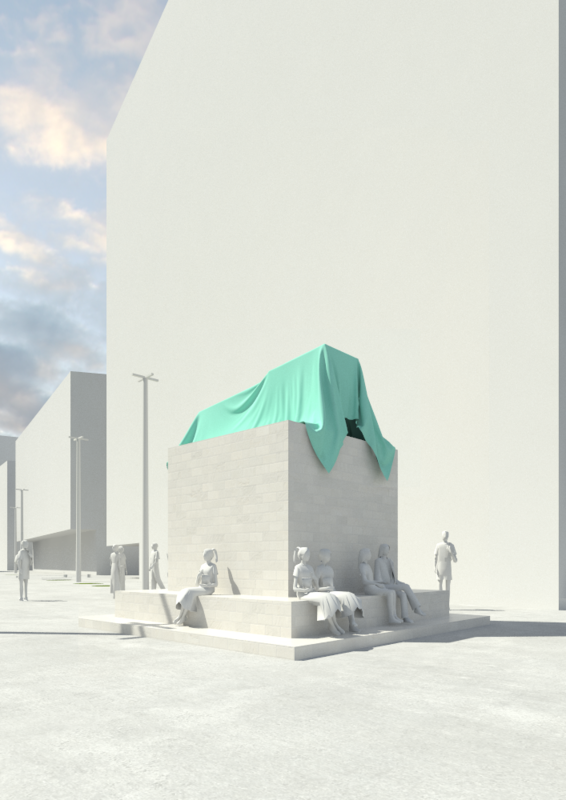 It looks to re-articulate a complex, sometimes contradictory history through a re-animation of the form of the monument. The collaborative work that is the project’s second stage, Untitled (Seven monuments), with Jonathan Jones and Aunty Joy Wandin Murphy, will be installed into the landscape around Healesville to mark the original boundaries of Coranderrk. Aunty Joy Wandin Murphy AO.